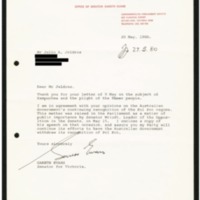 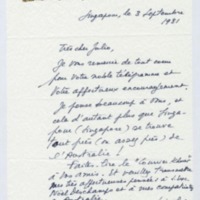 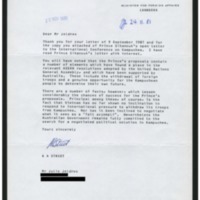 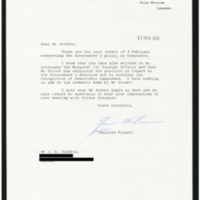 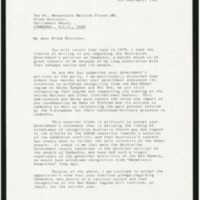 Response from the Australian Prime Minister to Ambassador Jeldres' letter of 12 October. 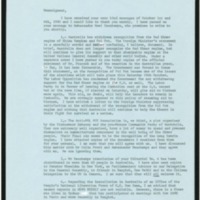 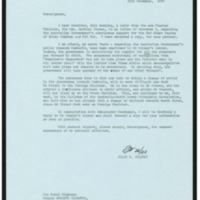 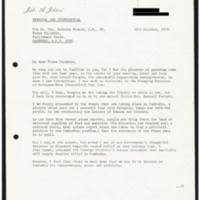 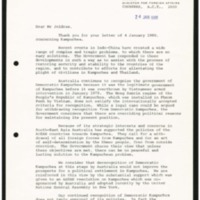 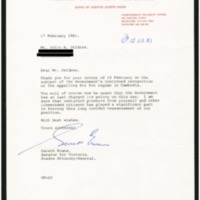 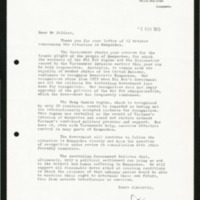 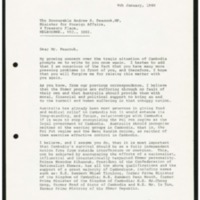 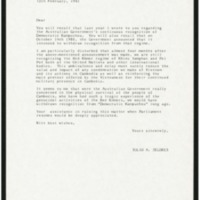 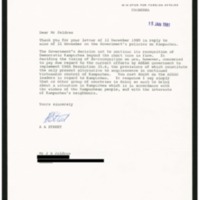 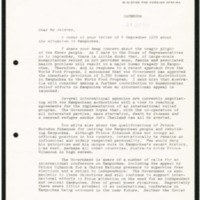 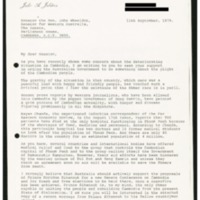 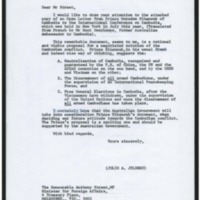 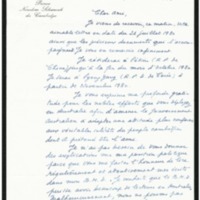 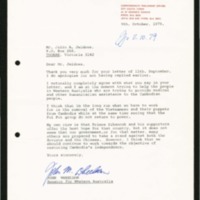 A letter from Ambassador Jeldres to Prince Sihanouk reporting on the arrival of a new letter from the Australian Foreign Minister and the support Australia continues to provide to the the Pol Pot regime. 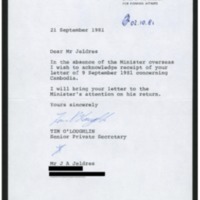 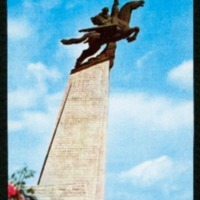 A letter to Julio Jeldres from the Private Secretary of the Minister for Foreign Affairs (Australia) advising that his letter has been received.